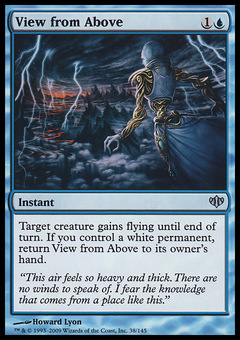 Mark of Asylum ($1.25) Price History from major stores - Conflux - MTGPrice.com Values for Ebay, Amazon and hobby stores! 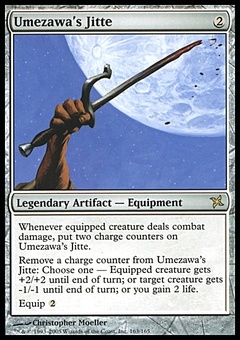 Card Text: Prevent all noncombat damage that would be dealt to creatures you control. 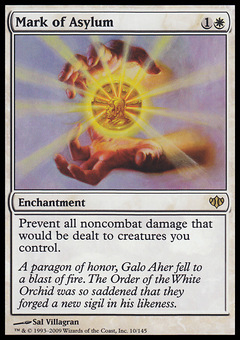 Flavor Text: A paragon of honor, Galo Aher fell to a blast of fire. The Order of the White Orchid was so saddened that they forged a new sigil in his likeness.